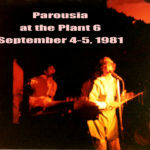 It was recently brought to our attention there was a band named Parousia BEFORE the existence of the Buffalo, New York based rock-band Parousia… or at the very least the two Parousia’s existed at the same time. Thank- goodness we never ran into this Parousia otherwise it may have resulted in the destruction of the known universe. This Parousia from Arizona has one album available titled “SEDONA” released in 1975 on the Daystar music label. The songs were recorded at A&M studios in Hollywood which opened in 1967 and closed in 1999 after parent PolyGram merged with Universal Music. 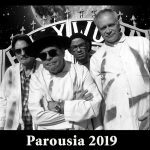 The major difference between the Arizona Parousia and the New York Parousia is that Arizona Parousia is from the “Jesus Music” genre whereas the Buffalo, New York Parousia is in the Album Oriented Rock genre. “…Pomona Catholic Students at Pomona Catholic High School had a very different assembly Wednesday. 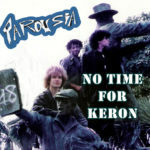 The Associated Student Body arranged for the gospel rock group “Parousia” to present a concert at school. The concert was entitled “Take a Long. Loving Look”. Between songs, members of the group introduced themselves and told of their religious experiences and convictions. 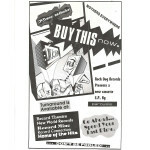 The band consisted of two electric guitar players, a drummer and three singers with small instruments like tambourines and cymbals, and one member who played both piano and electronic organ. The students said the music and the testimonials combined to make a memorable and meaningful experience. Although there doesn’t seem to be a free sample of music from Parousia’s ‘Sedona’ album to listen to on the internet, research reveals two distinct descriptions of the band’s style. For example, Discogs describes the music as “Folk, World and Country” whereas Last.FM describes the music as “Folk, Christian, Deathcore, Metalcore, Electronic and Christian Metal.” Not too sure about the accuracy of some of those labels considering “Deathcore, Metalcore and Electronic” did not exist as styles of music in 1975.